For the diverse requirements of our clients we are involved in offering a wide range of Domestic Water Softeners. 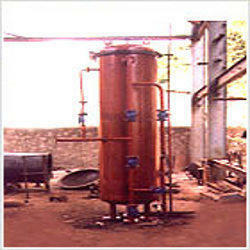 Offered products are widely used and are highly durable in nature. These are widely used in homes and are highly reliable. These are made using optimum quality raw material which we sourced from the trusted vendors of the market. 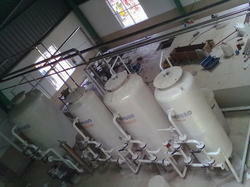 For the diverse requirements of our clients we are involved in offering a wide range of Industrial Water Softeners. These are used to exchange sodium ion with hardness forming calcium & magnesium. Offered products are widely used in hospitals, hotels, laundries and various other places. Moreover, these are available at reasonable rates. 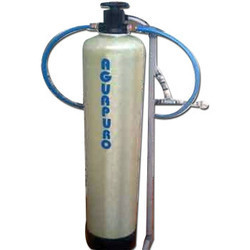 We are counted amongst the leading names in the industry, offering wide range of Automatic FRP Water Softeners. 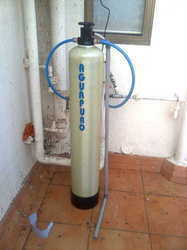 The treated water quality at the outlet of the unit is having hardness less than 5 ppm (commercial zero). Our entire product range is functionally advanced in nature and is highly reliable. Additionally, we offer them at most affordable rates. Keeping in mind the diverse requirements of the clients, we offer our clients wide range of Mild Steel Water Softeners. These are acclaimed among the clients for optimum quality and smooth finishing standards. Our entire product range is highly durable in nature and re widely used in different places. Moreover, our products can be availed at industry leading prices. With the assistance of skilled and adroit professionals, we offer our clients wide range of Stainless Steel Water Softeners. Our entire product range is delivered as per the preferences of our clients and is functionally advanced in nature. 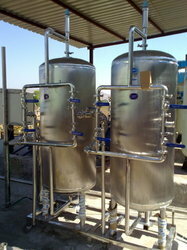 They are acclaimed for easy installation and are available in different specifications.